A one-time programming friend of alleged Silk Road creator, Ross Ulbricht, told a federal jury that Ulbricht confessed in real life to creating “a website where people can buy drugs” while he solicited coding advice. Software engineer Richard Bates told the court on Thursday that, from 2010 to at least 2011, he gave programming advice to Ulbricht. Bates said initially the project was described as “top secret,” but when Bates said that he had refused to offer more assistance unless Ulbricht shared the details of the project, that’s when Ulbricht showed him the Silk Road for the first time – on a laptop. According to prosecutors, Ulbricht aided in the trafficking of controlled substances from January 2011 up until his arrest. 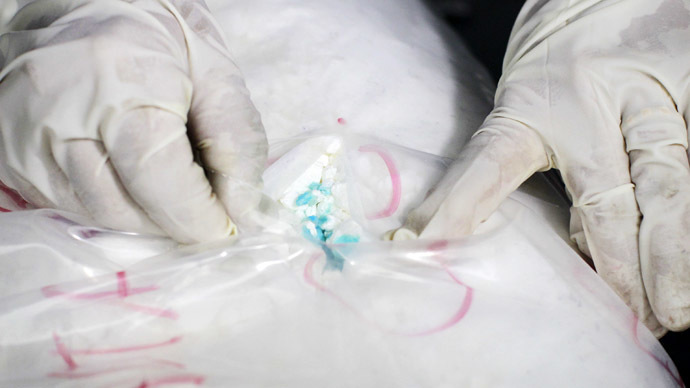 Through a government investigation, authorities determined that several thousand drug dealers used the Silk Road to distribute hundreds of kilograms of illegal drugs to over 100,000 buyers, laundering hundreds of millions of dollars in the process. Bates said he was initially shocked about the site but continued to advise Ulbricht until March 2011. He said the two of them also worked on plans for a bitcoin exchange. Bates himself used the site to buy drugs under the alias “melee,” saying he purchased marijuana, ecstasy, psychedelic mushrooms, Vicodin and antibiotics. Bates also said Ulbricht gave him a bag of psychedelic mushrooms that the defendant is alleged to have grown at home and sold on the site. Bates said when Ulbricht was first arrested in October 2013, Bates lied about his involvement and drug purchases to FBI agents when they initially visited him in his home. He agreed to testify to avoid prosecution. Bates said he met Ulbricht when they were undergraduate students at University of Texas at Dallas and became friends. By late 2010, Bates said they saw each other once a week. Around that time, Ulbricht asked frequent questions about PHP and server administration, often over Google chat. The court adjourned today before the prosecutor had finished asking his questions and any cross-examination about the defense. Defense attorneys have argued that Ulbricht created the Silk Road only as an “economic experiment” before giving it to other operators who expanded it into a narcotics empire and then framed Ulbricht. But prosecutors say Bates’ testimony on Thursday shows Ulbricht’s intention to create a site to sell drugs and showed he ran the site longer than his attorneys claimed. Ulbricht, accused of going by the name ‘Dread Pirate Roberts’ on the website, faces up to life in prison. He has pleaded not guilty to the charges, and argues that he is not Dread Pirate Roberts. Ulbricht’s attorney, Joshua Dratel, has argued that his client was actually framed by the real Dread Pirate Roberts before his arrest.